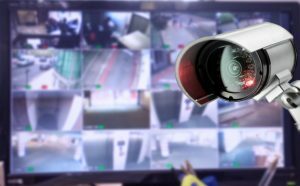 The importance of video surveillance in modern life is obvious, but finding the right security cameras may not be just as simple. Below you can find answers to commonly asked questions about security cameras to help you find a suitable system for you. 1.2 Outdoor camera – is used for outdoors, may have a heating system, cooling system, and a hermetic enclosure (which will not allow it to neither overheat/steam nor freeze). 1.3 With an anti-vandalism design – these have a special design that prevents damage. The housing of the camera is made of solid material, which does not allow opening or dismounting it without special tools. 1.4 Cameras that can be placed in a temperature proof, water proof housing – this construction protects the camera from dust, humidity, explosion, temperature extremes etc. What kind of image sensor should I opt for? CMOS image sensor – complementary metal-oxide semiconductor, which allows a high resolution (up to 500 exposures per second), low energy consumption (almost 100 times less then CCD), as well as a possibility to read information from each individual cell. CCD image sensor – charge-coupled device, has a low noise intensity, high efficiency, wide dynamic range and sensitivity. The shortcomings of this type is high energy consumption, and lower speed of response. What should I know in terms of resolution and frame rate? Resolution is measured in megapixels or in TVL(television lines). The higher this value is the more it improves video quality, and this allows to see smaller details on visual. Frame rate – this value measures the quantity of succeeding frames per time unit. The higher this value the smoother is the video image. These are just a few of the most important questions to consider when choosing effective security cameras Colorado devices.